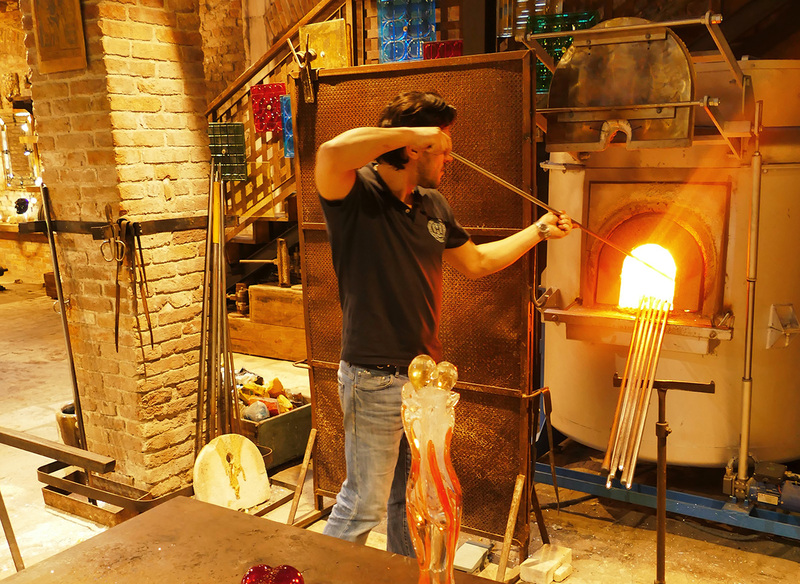 A restored medieval church, The Glass Cathedral - Santa Chiara allows visitors to see and purchase authentic Murano glass, as well as a chance to attend live demonstrations of glass making. If you time your visit correctly, you may even be able to attend a live musical or theater performance. You'll find information about available tours and opportunities to host an event at the church on the website. 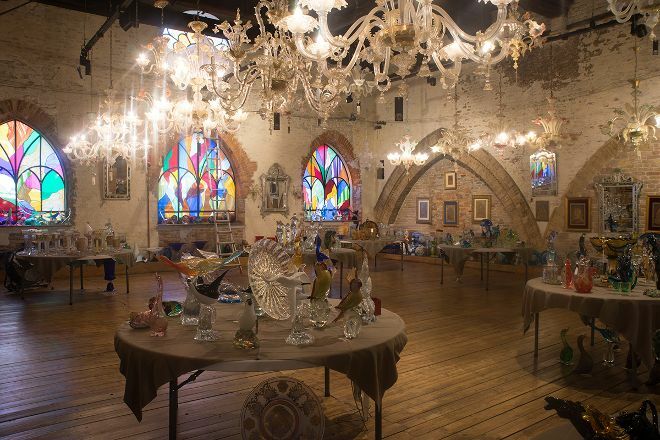 If you're looking for a special gift or memento of your trip, consider purchasing something from the varied Murano glass collection--your options include everything from grand chandeliers to elegant jewelry and drinking glasses. For The Glass Cathedral - Santa Chiara and beyond, use our Murano road trip app to get the most from your Murano vacation. You can join here all the time. At the entrance you are welcomed temporarily by a Lord of the entrance fee of €5 p.Pers. decreases and the way to the seats know times you can directly go and watch, then afterwards you will be asked to pay. The kiln is located in the middle and is surrounded on three sides by seats. Right in front of the stove 3 rows of seats are übereinander...von here you have a good look in the oven opening with Glut...gutes for photographers. It means that you get about 20 minutes presentation, we took quite 30-40 minutes. 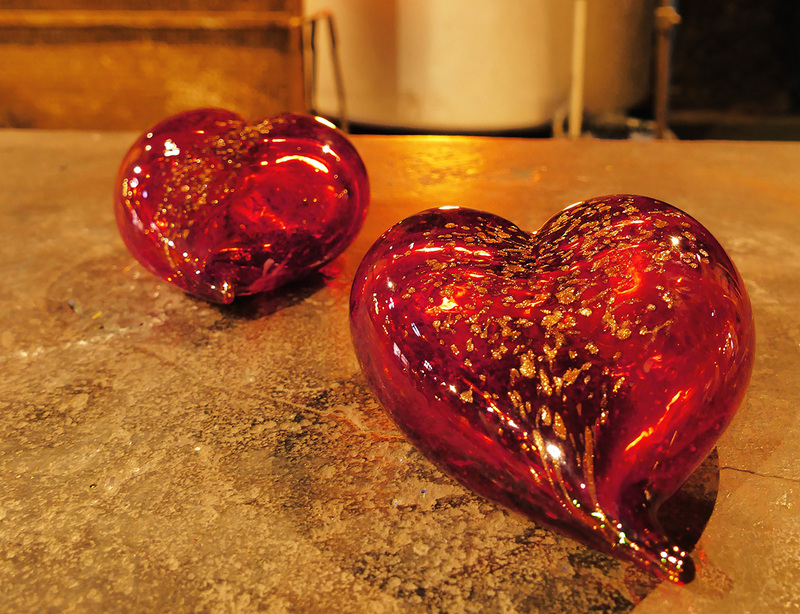 The glassblower demonstrated three things: a shell, a closed heart and a Trinkglas...jeweils with forgiveness stanchions. Finally he blew up so long a glass bubble for the amusement of children present, till she burst. Quite interesting, but without commentary and explanations - quite non-obtrusive, because you simply could go away at the end, without being redirected to the sales room. How to turn of the molten glass into a work of art! A pure moment of poetry, see these artists juggle with this paste in fusion, give him the most unexpected forms and this with apparent ease disconcerting. A show not to be missed. Vetreria Guarnieri Di Levorato Pierina & C. S.A.S. Every day, we help thousands of travelers plan great vacations. Here are some tips on how to use your Listing Page to attract more travelers to your business - The Glass Cathedral - Santa Chiara. Promote your permanent link - https://www.inspirock.com/italy/murano/the-glass-cathedral-santa-chiara-a1321638651 - on your website, your blog, and social media. When a traveler builds a plan from this page, the itinerary automatically includes The Glass Cathedral - Santa Chiara. This is a great way for travelers looking for a great vacation in your city or country to also experience The Glass Cathedral - Santa Chiara. Promoting your link also lets your audience know that you are featured on a rapidly growing travel site. In addition, the more this page is used, the more we will promote The Glass Cathedral - Santa Chiara to other Inspirock users. For best results, use the customized Trip Planning Widget for The Glass Cathedral - Santa Chiara on your website. It has all the advantages mentioned above, plus users to your site can conveniently access it directly on your site. Visitors to your site will appreciate you offering them help with planning their vacation. Setting this up takes just a few minutes - Click here for instructions.